The Democratic congressman seeking to unseat Senator Marco Rubio has accepted maximum campaign contributions from a pair of Florida businessmen identified by the FBI as members of the Colombo organized crime family, records show. 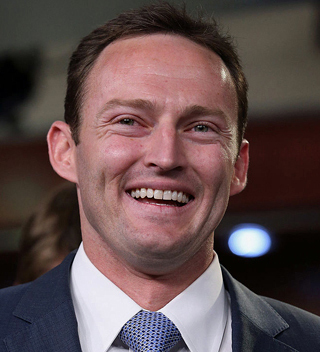 In Tuesday’s Democratic primary, Murphy received 59 percent of the vote, setting up a general election race against Rubio, the incumbent Republican. The two-term congressman represents a southeastern Florida district that includes St. Lucie and Martin counties. Rosatti and Staluppi, both registered Republicans, are residents of Palm Beach Gardens, which is in the southern tip of Murphy’s congressional district. In 2004, Rosatti and Staluppi each donated $2000 to the Bush-Cheney reelection campaign, according to FEC filings. At the time of Scarpa’s 1988 reports, Staluppi was working with Donald Trump on the production of a series of Cadillac stretch limousines. The Trump Golden Series and Trump Executive Series vehicles were the first time the developer had licensed his name for a product.